At Wentworth Theatre Training we understand the impact of well-trained, motivated staff at the sharp end of theatre operations. 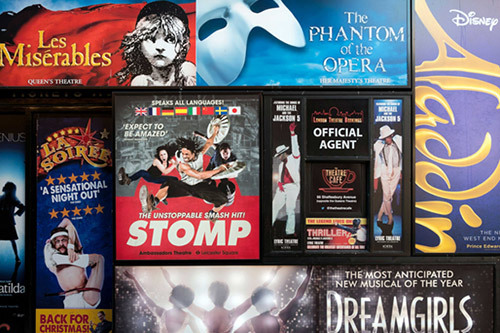 For more than a decade we've delivered results for many of the industry's best-known theatre groups and independent operators. All our training is bespoke and run in-house. The programmes are tailored to meet each client's individual operational needs. From professional development sessions to refresher courses, our theatre and arts based heritage enables us to deliver training that is effective, accessible to all and results driven. "Wentworth have worked closely with us for many years, developing training to ensure we provide the best possible customer service in everything we do for Patrons and Producers. It is also essential to regularly review it in order to continuously motivate colleagues, which is vital to success." Training participants are assured a professional, friendly environment so that they get the most out of their time with us. Whether delivered on or off-site, our interactive programmes & workshops offer excellent value for money.